There’s something that’s very easy to identify in young sportsmen or sportswomen that leads you to believe they will be a champion that dominates at some stage over their career. What it is exactly is harder to say; it could be the way they saunter around a court or field, the manner in which they speak to the press or it could be based purely on what they have achieved so far in their respective sports. For Alexander Zverev, it is all of the above and anyone who has seen this young man in action will know they are witnessing the birth of a star. The German is only 21 years old but you wouldn’t know it by the way he conducts himself. Zverev gives off an impression that he has been in the game a long time and could be mistaken for a seasoned pro. At almost two metres tall, Zverev is an athletic specimen that glides over the court with spectacular ease. Given his height, he will always have a booming serve to boot but looks a bit more agile than a man of similar height like Kevin Anderson. There’s only so far a big serve will take you and fortunately for Zverev, he has other strings to his bow. At 21, Zverev has eight singles titles to his name already, which includes four on clay. The youngster has taken to the surface and it has been suggested that he could take over from Rafa Nadal as the player to dominate on the surface after the King of Clay eventually calls it a day. 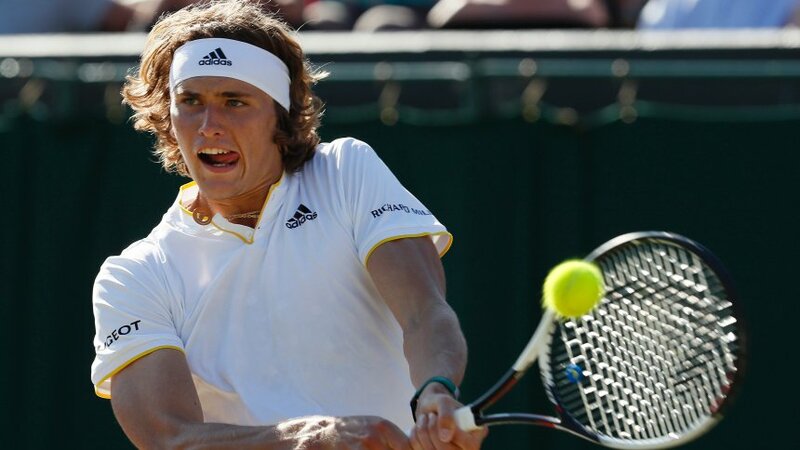 Like all great champions, Zverev has the ability to produce when under intense pressure. That was proved again after he saved match point against Damir Dzumhur before beating him in five sets at Roland Garros. It was a thrilling performance and one where he won over the Paris hearts with an enthralling comeback victory. The test will be to see if Zverev is able to keep this form going when he arrives at Wimbledon later this month. There’s no question about his pedigree on clay but he must now replicate that form on the famous grass courts. The German is 9/1 to win Wimbledon in tennis betting and he’ll be one to keep a very close eye on as he continues his rise to the top. It’s not just on the courts where Zverev is entertaining but also off it. After his victory over Dusan Lajovic, Zverev was asked a question by journalist Jonathan Pinfield, to which he replied with a smile, “Where you from, buddy?” Zverev was so taken with the Yorkshire accent and immediately fell in love with it, promising to come and play a tournament there just because of his love for the accent. It’s exchanges like that, coupled with his very evident talent on the tennis court, that suggests Zverev isn’t your run-of-the-mill athlete and could be here to stay. All things considered, there’s no better time for a young tennis star to be emerging with a changing of the guard likely to happen over the next five years. By that time, Zverev will be ready to take up the torch and be tennis’ shining light.